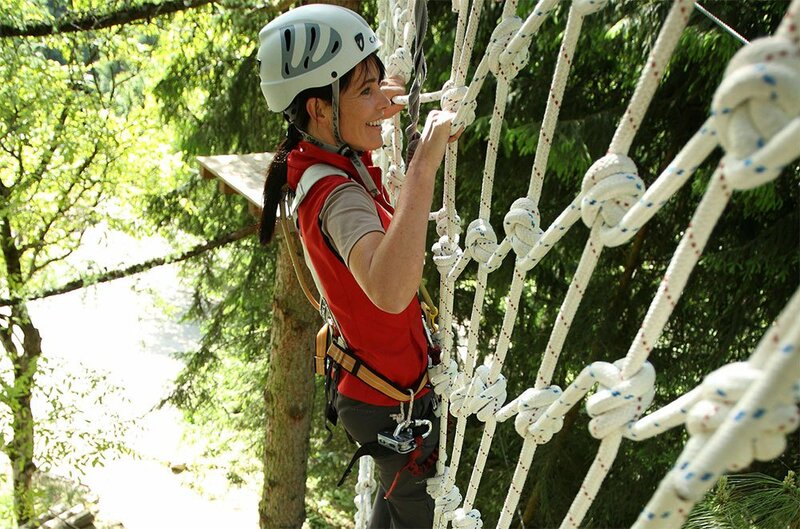 For action-packed entertainment during a group travel with children or young people visit the high-ropes course. At high altitudes, different itineraries are completed. You may balance across suspension bridges and climb along ropes. On shaky wooden elements, the participants must try to maintain their balance. The adventure takes place at different heights. The participants may climb up to 20 meters on the high ropes. Thrills and adrenaline are guaranteed up here. You may enjoy these adventures at the climbing garden in Issengo and at the high-ropes course in Funes. 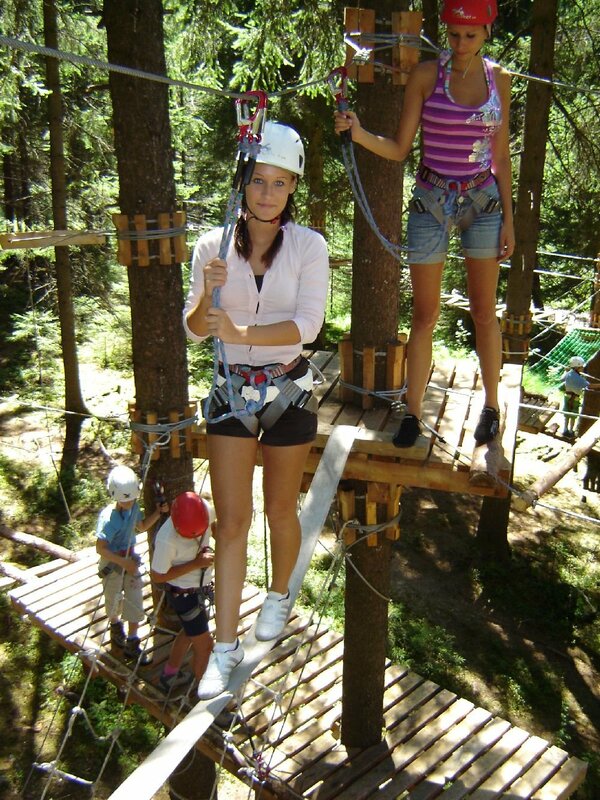 The nearest high-ropes course is located in the village of Funes. In the middle of the forest, nine itineraries at dizzying heights await you under the treetops. This outdoor adventure is, however, a very safe experience. Visitors will receive professional safety equipment, thus, an accidental misstep will have no serious consequences. Children and young people may make first climbing experiences at the boulder wall in the group hotel Sonnenhof. Step by step, they may climb up the vertical wall using the embedded boulders and steps.